For our last day of the holiday we had decided to spend a quiet day in the cottage. One of the major expenses of a holiday is the accommodation, so it seems mad not to get your money’s worth. We were going to light the fire, eat up the last of the holiday food and just generally chill out. Before we settled down for the day, however, Mr M had spotted a leaflet about Sedbergh, the so-called “Book Town of England”. It sounded exactly like the kind of place we love, so we thought we’d have a quick drive over to see what the town had to offer. 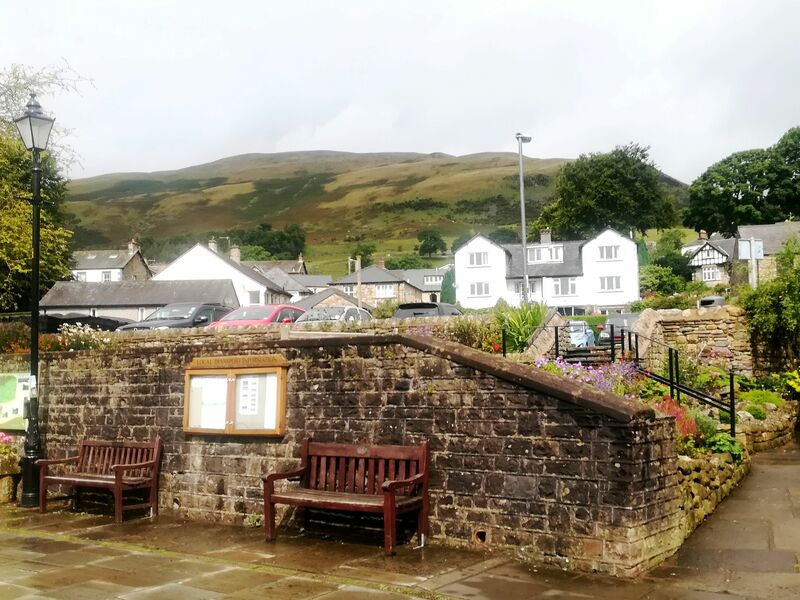 With the help of the magical app that is Google Maps, I managed to pick out a few places that I wanted to visit in Sedbergh, but we decided to start by wandering down the main street and seeing where that led. Our first stop was an art exhibition in the local gallery. I’m not a massive art fan but there was plenty to look at. Miss Mess found a particular artist called Jess Mulholland who had done the most beautiful fairytale-like drawings. We couldn’t afford one of the larger prints, but luckily found a postcard of one of the pieces and who we bought that for Miss Mess to take home. I’m really hoping we’ll be able to by her a few more pieces for her new big girl bedroom in the summer. Around the corner was a proper, adorable, old-fashioned sweet shop. The girls were in their own little version of heaven, and I tried to encourage them to pick something that you couldn’t buy in a supermarket. Something from a big tub behind the counter that has to be measured with a scoop. I was almost successful. Miss Mess picked some traditional sweets but Mini had to have her Squashies! We couldn’t really go to the Book Town of England and not check out a few bookshops, could we? We visited 3 in total, all charity or secondhand bookshops. We were in total book lover heaven. There were shelves after shelves of books from every genre you could think of. Mr M bought himself a book (can’t even remember what it was now), Mini Mess picked a jigsaw puzzle and Miss Mess chose a copy of Alice through the Looking Glass, which, as it would turn out, was incredibly appropriate for our Sedbergh visit. 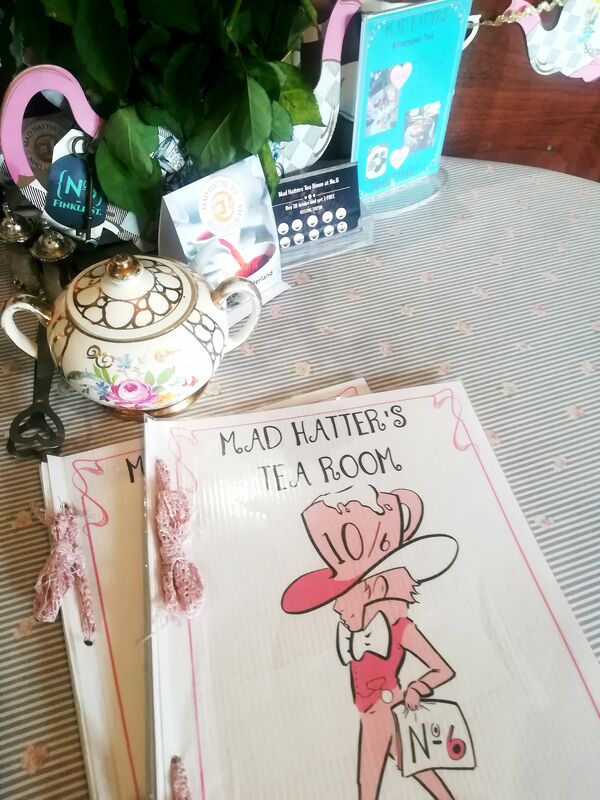 One of the places that I’d planned to visit was a gift shop, No 6 Finckle Street, but what I hadn’t anticipated is that we would stop for a bite to eat at the Mad Hatter’s Tea Room which was situated upstairs above the shop. 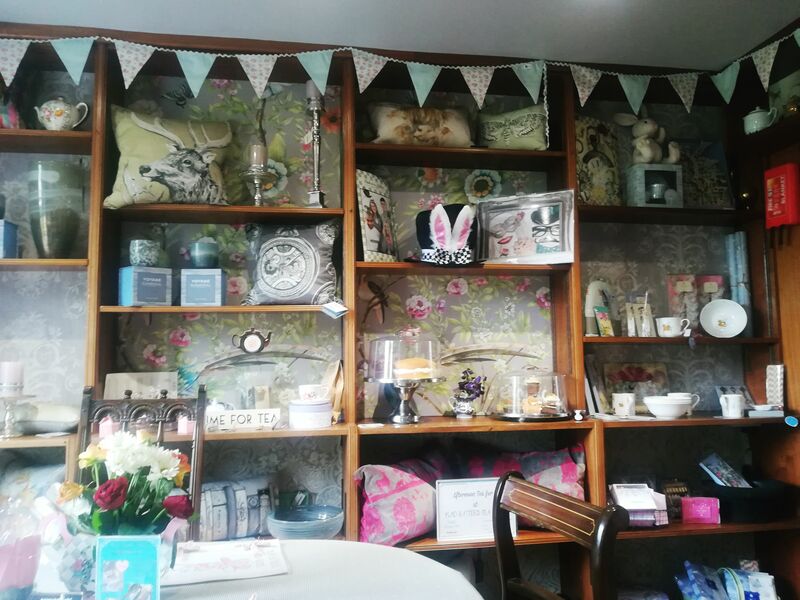 Both the shop and tea room were absolutely charming. I adored the themed décor. 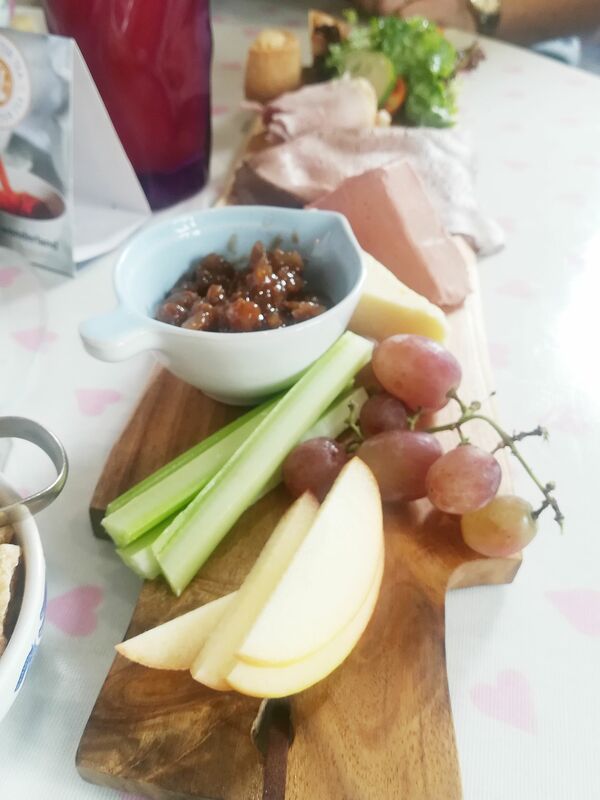 We decided we definitely couldn’t face another afternoon tea, after having two already this week, so ordered a Ploughman’s platter to share instead. It was absolutely divine and although at first glance I didn’t think there was a lot on the platter, I was surprised at how filling it was. 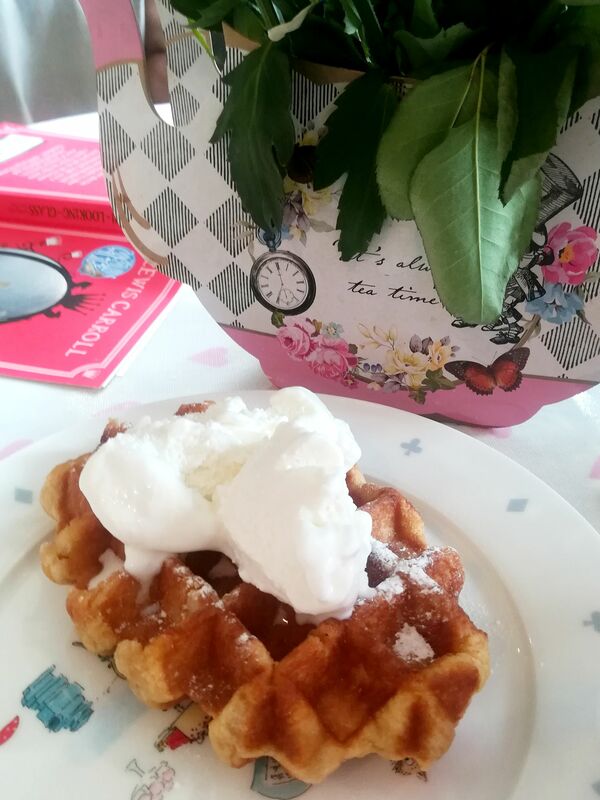 The girls each had waffles and ice-cream, which may not have been the healthiest lunch ever but it was certainly delicious. I happily polished off anything they couldn’t manage. 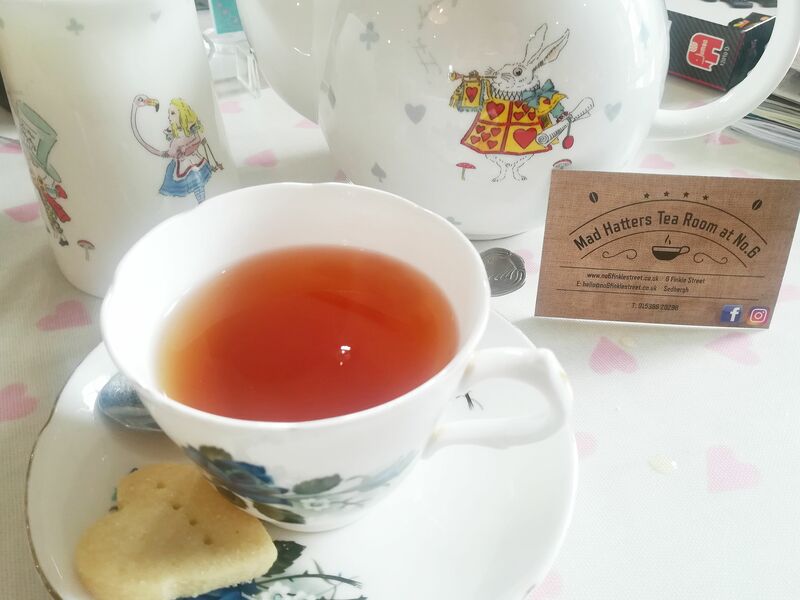 I loved the atmosphere in the Mad Hatters Tea Room and could have happily spent hours there, drinking tea and eating cake. All that was left to do was to head home for a peaceful afternoon spent colouring, blogging, playing games and watching DVDS. As evening drew in, we lit our final fire and enjoyed our last night in Tyee Cottage. And so ends our 2017 holiday diaries. The journey home was easy. We dropped in on one of Mr M’s old friends on the way which was lovely as we don’t get to see him and his family too often. We ate lunch in a car park overlooking the stunning Lake District scenery and were all feeling pretty emotional to be saying goodbye to what had been a truly amazing holiday. Writing these blogs has been a wonderful way to relive our time in the Lake District and I hope you’ve enjoyed reading them. I know we’re all hoping to travel back there one day in the future. 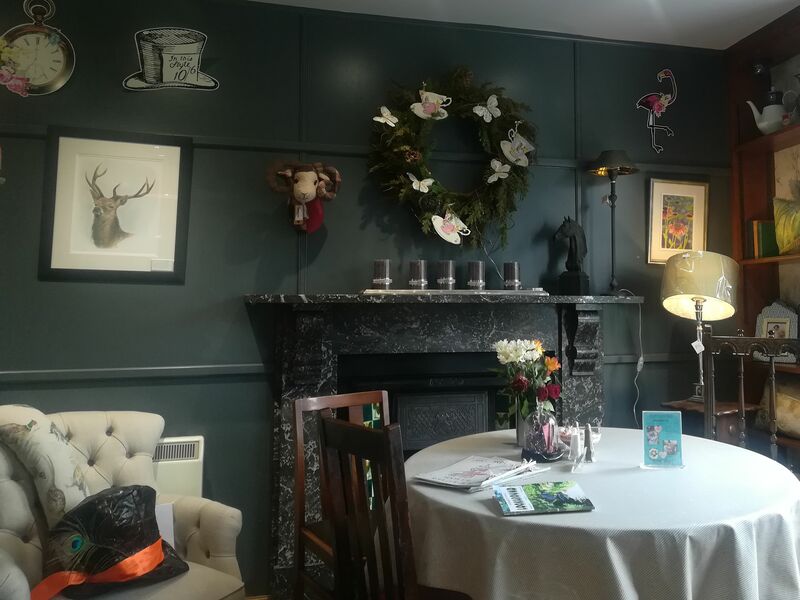 This entry was posted in Travel and tagged Food blogger, lake district, Mad Hatters Tea Room, No 6 Finkle Street, Sedbergh, travel blogger.